Holyrood probe on judicial interests enters sixth year. A FIVE YEAR Scottish Parliament investigation of Petition PE1458: Register of Interests for members of Scotland's judiciary – will now enter an unprecedented SIXTH YEAR - after a private meeting decided to carry forward proposals for judicial transparency into 2018. At a meeting of Holyrood’s Public Petitions Committee on Thursday 21 December 2017, the judicial transparency petition was scheduled as the last item - to be debated in private - as MSPs looked for a way forward on the cross party supported proposals. However, MSPs did not conclude on a way forward at that meeting, and decided to take forward the petition into next year for further scrutiny and consideration. 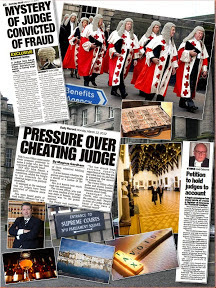 The proposal – to create a register of judicial interests for members of Scotland’s judiciary, was originally filed with the Scottish Parliament in 2012. The latest move by Holyrood’s Public Petitions Committee to look for a way forward - comes after the petition secured powerful backing of former Cabinet Secretary Alex Neil MSP (SNP). Alex Neil added: ““There is no doubt in my mind at all that it is long overdue. I do not see why judges should be any different from ministers or MSPs, and they should need to declare interests as most people in public service do these days. “A Bill of this nature is badly needed, and if it can be done on an all-party basis through the Petitions Committee, then the committee’s members should not wait and should act now to sponsor a Bill. 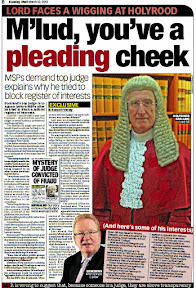 The latest developments - in the 22nd hearing of Petition PE1458 on calls to create a register of judges’ interests - comes after MSPs previously heard over sixty two submissions of evidence, during twenty one Committee hearings, including a private meeting between two MSPs and a top judge, and fifteen speeches by MSPs during a full Holyrood debate spanning from 2012 to 2017. The judicial interests petition - first debated at the Scottish Parliament’s Public Petitions Committee in January 2013 – calls for the creation of a publicly available register of judicial interests – containing information on judges’ backgrounds, figures relating to personal wealth, undeclared earnings, business & family connections inside & outside of the legal profession, membership of organisations, property and land, offshore investments, hospitality, details on recusals and other information routinely lodged in registers of interest across all walks of public life in the UK and around the world. Consideration of a continued petition (in private): The Committee considered a draft letter on PE1458 by Peter Cherbi on Register of interests for members of Scotland's judiciary. The Committee agreed to consider a further draft letter at a future meeting. Journalists involved in the petition expressed their thanks to members of the Public Petitions Committee for keeping the debate open and welcomed the continued public & parliamentary debate on the judicial register – which continues to bring in key intelligence on judicial interests & cases where serious conflicts of interest have been ignored in both criminal and civil cases in Scotland’s courts. The petition secured early support of Scotland’s Judicial Complaints Reviewer Moi Ali, and her successor as JCR - Gillian Thompson. Petitions Committee moves forward on judicial register. A COMMITTEE of MSPs conducting a FIVE YEAR Scottish Parliament investigation of Petition PE1458: Register of Interests for members of Scotland's judiciary - have decided to move ahead on proposals requiring judges to declare their interests in a publicly available register. The move by Holyrood’s Public Petitions Committee who met on Thursday 7 December to look for a way forward - comes after the petition secured powerful backing of former Cabinet Secretary Alex Neil MSP (SNP). The Public Petitions Committee have now decided to consider the position in private at a later meeting - and formulate letters to Lord Carloway and Justice Secretary Michael Matheson which will be published in due course. The latest developments in the 22nd hearing of Petition PE1458 on calls to create a register of judges’ interests comes after MSPs previously heard over sixty two submissions of evidence, during twenty one Committee hearings, including a private meeting between two MSPs and a top judge, and fifteen speeches by MSPs during a full Holyrood debate spanning from 2012 to 2017. We last considered the petition in June, when we took evidence from Lord Carloway, the Lord President. We agreed to reflect on that evidence and we have a briefing note that summarises the issues that came up in that evidence session. We also have two submissions from the petitioner that convey his response to the evidence and provide information about additional developments in relation to the recusal of judges. As members are aware, the petition has been under consideration for five years and we have a good understanding of the arguments for and against the introduction of a register of interests for judges. There has been some movement on that. Do members have any comments on what we should do next? Angus MacDonald: As you say, convener, the petition has been on-going for five years. It is worth noting that it was originally based on the consideration of the Register of Pecuniary Interests of Judges Bill in New Zealand, which was dropped after we started to take evidence on Peter Cherbi’s petition. 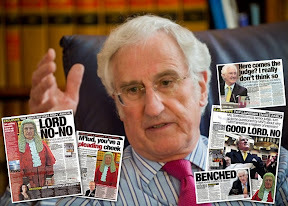 We have taken extensive evidence on the petition over the past five years, including from the former Lord President, Lord Gill, the current Lord President, Lord Carloway, as well as the former Judicial Complaints Reviewers Moi Ali and Gillian Thompson. We appreciate the time that they have all given to the committee. The petition has already secured a result, to the extent that there is more transparency because judicial recusals are now published, which did not happen previously. It is worth pointing out that that still does not happen in England, Wales and Northern Ireland. We should be proud that the petition has achieved that. However, I note that the petitioner has suggested that we take evidence from Baroness Hale, President of the UK Supreme Court, as well as from the new Judicial Complaints Reviewer. It would stretch the bounds of the petition to take evidence from Baroness Hale, as the petition urges the Scottish Government to create a register of judicial interests in Scotland. I am not sure that our remit extends to the UK Supreme Court. Mr Cherbi should perhaps take that aspect of the matter to the UK Parliament Petitions Committee, which may have the remit. The Convener: I sense that we have agreement to the approach outlined by Angus MacDonald, which is not to take further evidence, but to bring together our conclusions and write to the Scottish Government, recognising that there has been some progress. Do we agree to draft a letter on our conclusions in private, although the final letter will be in the public domain? Angus MacDonald: I agree, but we must move forward. We have been considering the petition for five years and Mr Cherbi’s latest submission shows a degree of frustration, which I share. The Convener: We understand that, but there should also be recognition of the fact that there has been some progress. Do members agree to send the letter to the Lord President as well as the cabinet secretary? A PETITION calling for judges to openly register their financial and other interests has received its biggest boost to date. Five years to the day after it was lodged at the Scottish Parliament, former minister Alex Neil MSP will today call on Holyrood’s Petitions Committee to start the process of bringing a Bill before Parliament. The transparency petition was lodged by legal affairs journalist and campaigner Peter Cherbi on December 7 2012, and it will be considered again today — the 22nd time it has gone in front of the Holyrood committee. The SNP’s Alex Neil has followed the petition with interest and has actively campaigned for the judicial register of interests to be introduced. 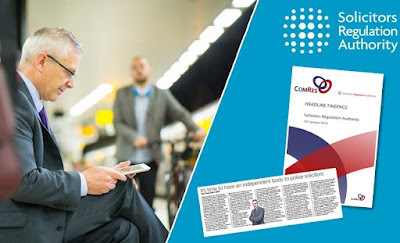 He told The National yesterday: “It is now time for the Petitions Committee itself to look at using the powers of parliamentary committees to introduce a Bill to set up a judicial register of interests. “There is no doubt in my mind at all that it is long overdue. I do not see why judges should be any different from ministers or MSPs, and they should need to declare interests as most people in public service do these days. 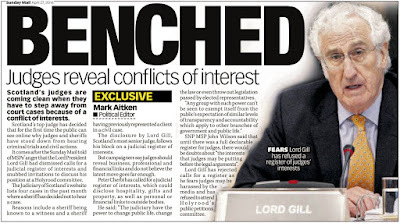 Both Lord Carloway and Lord Gill, the current and former Lord Presidents of the Court of Session respectively — the senior judge position in Scotland — have opposed such a register of interests. 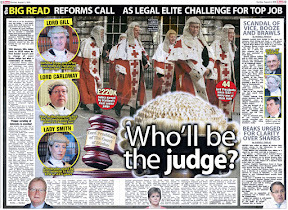 At least two High Court judges — Lord Carloway and Lady Smith — already declare their interests because they are members of the board of the Scottish Courts and Tribunal Service. They did so for the first time last month, along with Sheriff Duncan L Murray, after a Freedom of Information request. 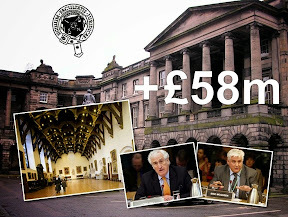 Welcoming Alex Neil’s intervention, Cherbi said: “For five years, the Scottish Parliament has considered a petition calling for a register of judicial interests. “In this time, the petition has generated more than 62 submissions of evidence, 21 committee hearings, a private meeting between MSPs and a top judge, 15 speeches by MSPs during a full Holyrood debate, and two appearances by judicial investigators — who both support the petition. “In two of those meetings, two top judges were left grasping at straws when asked why the judiciary should be above public expectations of transparency. 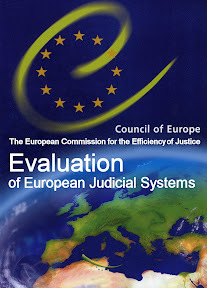 “This proposal to create a register of interests for judges applies the same level of transparency to the judiciary which already exists in other parts of the justice system such as the police, prosecutors and court administration and will bring judges into line with all others in public life who are required to register their interests. “Along the way, the petition has gained wide cross-party support in the Scottish Parliament, wide support in the media, and the invaluable and fantastic support of two judicial complaints reviewers — Moi Ali, and Gillian Thompson. 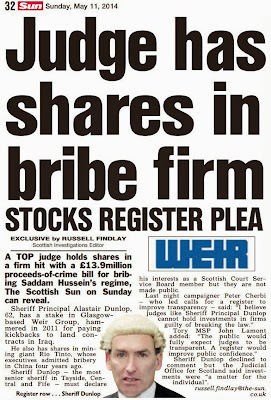 A PETITION to the Scottish Parliament calling for judges and sheriffs to publicly register their interests seems to be nearing a successful outcome – five years after it was submitted. The Public Petitions Committee has agreed to finalise its conclusions on the list of signatories submitted in December 2012 by legal campaigner and journalist Peter Cherbi. The Holyrood committee agreed to consider those conclusions in private at a future meeting before writing to Scotland’s senior judge, Lord Carloway, the Lord President, as well Justice Secretary Michael Matheson. Committee convener Johann Lamont said members would be aware the petition had been under consideration for five years and they had a “good understanding” of the arguments for and against a register. Angus MacDonald, SNP MSP for Falkirk East, called for a “move forward” and told the committee: “This petition has been ongoing for five years to this date exactly. 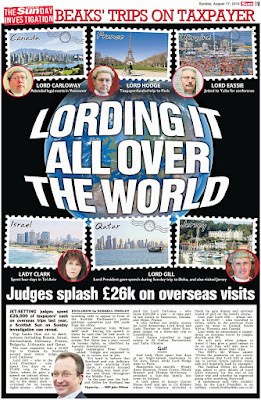 It’s fair to say we have taken extensive evidence on this petition over the last five years, not least from the former Lord President Lord Gill and the current Lord President Lord Carloway, as well as judicial complaints reviewers Moi Ali and Gillian Thompson. Cherbi told The National: “It has taken five years for the petition to travel through 22 committee hearings and a full debate in 2014 – during which it was evident from the 15 speeches by MSPs that cross-party support exists for the creation of a register of judicial interests. “The case has been made for judicial disclosures – there is no rational case against it – now it is time for Holyrood to legislate to require judges to register their interests. What struck me during the public debate and contact with people was that many thought judges already declared their interests and published their recusals. “People I talked with over the course of these five years were genuinely shocked when they found out the judiciary did neither, instead preferring to duck and dive behind oaths and guidelines the judiciary wrote and approved themselves. “The public are entitled to expect the highest standards of transparency from all those in public life, and the judiciary are no different. “Judges must face up to the fact that those who hold the power to take away freedoms, to change or alter the lives of others, to overturn legislation from our elected parliaments – and to do all this without any reasonable scrutiny – must now be brought up to the same, or higher, levels of transparency and accountability as the public expect of those in public life, the justice system, and government. MSPs hear calls to invite UKSC President Lady Hale to Holyrood. A FIVE YEAR Scottish Parliament investigation of Petition PE1458: Register of Interests for members of Scotland's judiciary has received further submissions - calling for MSPs to invite Baroness Hale to give evidence at Holyrood. Calls for Lady Hale - President of the UK Supreme Court (UKSC) - to be invited to appear before the Scottish Parliament - come on the back of evidence presented to MSPs on the lack of transparency relating to recusals in UK’s top court – which also serves Scotland as the court of last resort. 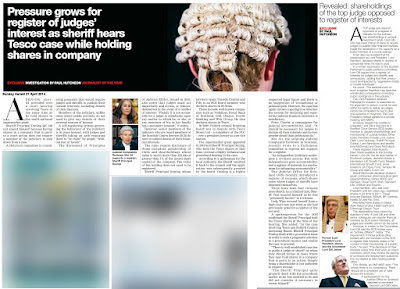 While courts in Scotland now publish details of judicial recusals – where judges stand down from cases due to a conflict of interest – the UK Supreme Court has refused to take on this extra transparency measure. 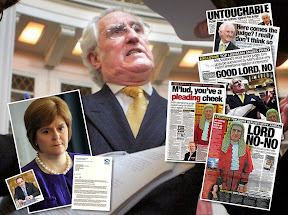 Transparency campaigners cite the Supreme Court’s refusal to publish recusals as creating an imbalance in transparency with a court based in London which Scots based litigants & accused persons must still rely on for a right of appeal. Submissions filed with the Scottish Parliaments Public Petitions Committee also urge MSPs to quiz Lady Hale on the current stance of the UK’s top court on declarations of judicial interests in a publicly available register – a move currently opposed by the Supreme Court according to policy currently posted on the UKSC’s website. A supplementary submission lodged earlier this week also reveals major concessions from the Judicial Office for Scotland after discussions between the petitioner and the Head of Strategy and Governance at the Judicial Office. 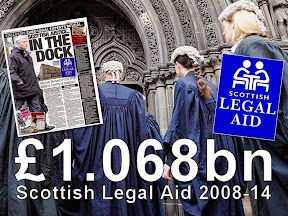 MSPs have been made aware an agreement has been reached where up to five hundred Justices of the Peace are now to be included in the Register of Judicial Recusals – created by ex Lord President Brian Gill in February 2014 – in response to meetings with MSPs on Petition PE1458. However, the submission asks MSPs to seek answers on why Justices of the Peace – who comprise the bulk of Scotland’s judiciary – were excluded from the recusals register when it was set up in April 2014. An additional concession from the Judicial Office passed to MSPs also reveals that recusals which take place on the many tribunals under the wing of the Scottish Courts and Tribunals Service (SCTS). will be published at a date yet to be decided. 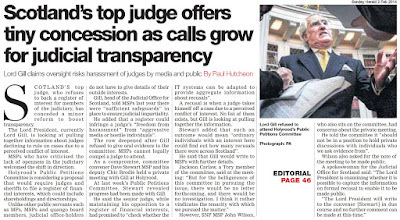 MSPs have also been asked to consider calling Ian Gordon – the new Judicial Complaints Reviewer (JCR), who took over from Gillian Thompson and hear his views on declarations of judicial interests. 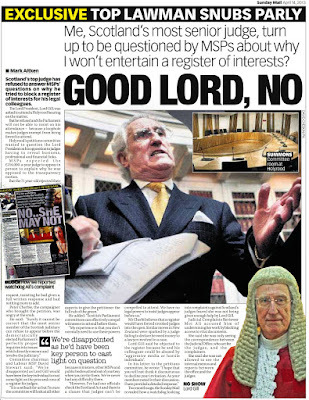 Both previous Judicial Complaints Reviewers – including well known transparency campaigner Moi Ali – fully support the petition calling for the creation of a register of judicial interests in Scotland. 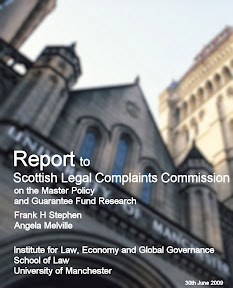 A full report on Moi Ali’s evidence to MSPs and support for proposals calling for the creation of a register of judicial interests is reported here: Judicial Complaints Reviewer tells MSPs judges should register their interests like others in public life. Meanwhile it can be revealed written evidence of failures to declare interests at the UK’s top court has been passed to journalists and MSPs for study. The material, identifies a judge who took part in a case in the Court of Session on multiple occasions who then took a seat on the Supreme Court – and knocked back an appeal from the same case he had ruled on, without declaring any former interest in the case after blocking the route of appeal. Later today, members of the Scottish Parliaments Public Petitions Committee will consider the request to call Lady Hale and obtain more answers on judicial recusals. The current stance of the UK Supreme Court has previously been used by judges in Scotland to avoid creating a register of judicial interests in response to the cross party supported petition still under investigation at the Scottish Parliament. Background: Prior to the creation of the Supreme Court of the United Kingdom, the highest court in the UK was the Appellate Committee of the House of Lords. The members of the Committee were Lords of Appeal in Ordinary appointed under the Appellate Jurisdiction Act 1876. Although those appointments gave them full voting and other rights in the House of Lords, the Law Lords had for some years voluntarily excluded themselves from participating in the legislative work of the House. Notwithstanding that, they were bound by the rules of the House and provided entries for the House of Lords Register of Interests. Current position: Against this background the Justices have decided that it would not be appropriate or indeed feasible for them to have a comprehensive Register of Interests, as it would be impossible for them to identify all the interests, which might conceivably arise, in any future case that came before them. To draw up a Register of Interests, which people believed to be complete, could potentially be misleading. Instead the Justices of the Supreme Court have agreed a formal Code of Conduct by which they will all be bound, and which is now publicly available on the UKSC website. In addition all the Justices have taken the Judicial Oath - and they all took it again on 1 October 2009 - which obliges them to "do right to all manner of people after the law and usages of this Realm without fear or favour, affection or ill will"; and, as is already the practice with all other members of the judiciary, they will continue to declare any interest which arises in the context of a particular case and, if necessary, recuse themselves from sitting in that case - whether a substantive hearing, or an application for permission to appeal. I would like to draw to the attention of members the appointment of Baroness Hale as President of the UK Supreme Court, which also serves as the most senior court in the UK for appeals from Scotland. Noting Baroness Hale’s recent comments in relation to the appointment of judges (Let ministers pick judges, says Supreme Court chief Baroness Hale, The Times, 23 August 2017) and other matters, I request Baroness Hale be invited to give evidence before the Petitions Committee. As the President of the UK Supreme Court, Baroness Hale will be able to give a substantive account of why UKSC Judges no longer consider they require to adhere to the expectation of completing a register of interests as they did pre-UKSC days as Law Lords in the House of Lords. Members may also wish to raise questions to Baroness Hale on the disparity of judicial transparency between Scotland and UKSC on judicial recusals, where as members are aware, the Judiciary of Scotland now list details of recusals, compared to the UKSC in London - where this information has not yet been made available to all UK users of the Supreme Court. The position of the UKSC on the current lack of a register of judicial interests has entered Committee discussions on numerous occasions, and in evidence. Lady Hale’s appointment as President would be a significant opportunity for this Committee to hear from the top UKSC judge on a court which also serves the interests of Scotland. Lord Carloway evidence to Petitions Committee 29 June 2017: In response to evidence given by Lord Carloway to members I note Lord Carloway claims the creation of a register of interests would deter recruitment of candidates to become judges. In no other walk of life including politics - does the existence of a register of interests deter recruitment of individuals to a profession or industry. A register of interests is designed to promote accountability and transparency. If someone were to be deterred from a job due to the existence of a register of interests there would quite properly be questions on why transparency would hinder someone from applying for a position of such authority, power - and - responsibility to serve the community. Lord Carloway stated the critical distinction for judges in this case is that the judiciary require to be independent of any form of government - a point no one or this petition is questioning. To add to Ms Ali’s comments, members will be aware a decision by the judiciary can effectively revoke an item of legislation created by the Scottish Parliament, or the House of Commons if a legal challenge in court to a law is successful. Examples of such cases - including HMA V Cadder - have occurred over recent years, requiring emergency legislation to address issues of successful judicial challenges. One branch of the Executive which can overturn legislation from another branch, or our elected Parliaments, clearly requires the same implementation of transparency as the other. In light of the judiciary’s position as the most powerful branch of the Executive - and their considerable effect on public life, policy and legislation, an equivalent, or even greater level of transparency is required to be applied to the judiciary by way of creating a register of judicial interests. 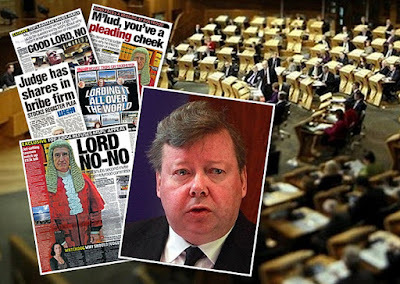 In his evidence, Lord Carloway goes on to claim a register of judicial interests should only be created if the judiciary detect corruption within it’s own ranks. This is not a credible position in terms of public expectation of transparency in 2017. Registers of interest exist to ensure transparency and accountability in public life and there is now clearly a requirement for members of the judiciary to declare their interests as practiced by all others in public life. In conclusion of Lord Carloway’s evidence, I note the Lord President was unable to provide a single legitimate example of harm caused to the judiciary by the creation of a register of interests, nor one single reason why the judiciary should be exempt from the same levels of public transparency which rightly apply to everyone else. There is cross party backing for the creation of a register of judicial interests, as has already been demonstrated at Holyrood during the motion debate of October 2014, and widespread support in the media and public, and from both Judicial Complaints Reviewers for judges to be required to declare their interests. Creating a register of interests for members of Scotland’s judiciary is the right thing to do. Members will also be aware of the appointment of a new Judicial Complaints Reviewer - Mr Ian Gordon, formerly the Convener of the Standards Commission for Scotland. 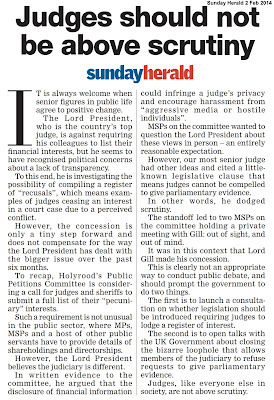 Mr Gordon’s appointment, along with concerns from the outgoing JCR Gillian Thompson, and calls for a review of the role and powers of the JCR - were reported in the Sunday Herald (Calls for more funding as new judicial watchdog appointed, Sunday Herald, 15 August 2017). As Mr Gordon is well versed in standards, and public expectation of transparency, I ask the Committee call Mr Gordon to give evidence on his experience in relation to standards in public life, and any thoughts he may have as the new Judicial Complaints Reviewer - with regards to the creation of a register of judicial interests. In light of the progress on this petition, public interest, and public debate, I would like to encourage this Committee to begin discussions with other Committees to determine which is the best way to advance this petition forward. 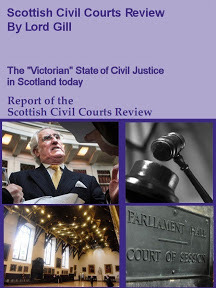 There is now five years of work, from MSPs, Public Petitions Committee members past & present, PPC clerks, two Judicial Complaints Reviewers, Parliamentarians from other iurisdictions, legal academics, submissions from members of the public, wide support in the media and across the spectrum of politics & public for the implementation of a register of judicial interests. This team effort should rightly culminate in what will be a significant gain for the justice system, judiciary and courts - in terms of transparency and accountability, and a gain for this Parliament in creating the legislation to bring about such judicial transparency, and increase public confidence in our courts. 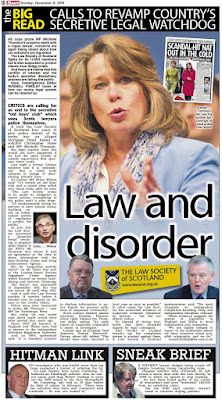 Finally, as Lord Carloway raised the subject of problems in judicial recruitment if a register is created, I urge the Committee write to the Sheriff’s Association, the Scottish Justices Association, the Law Society of Scotland and the Faculty of Advocates on this particular subject, seeking their views in writing, so these issues can become a matter of public record in this debate. 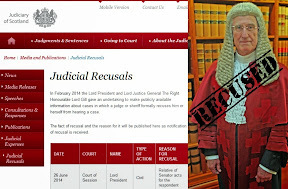 A further development of interest to members with regards to the Register of Judicial Recusals - created by former Lord President Lord Brian Gill as a result of this petition in April 2014. During the creation of the Register of Judicial Recusals in 2014, some 400 plus members of the judiciary - Justices of the Peace - were excluded from the register for no apparent reason. Recent communications with the Judicial Office and further media interest in the petition[has prompted the Judicial Office to finally include Justices of the Peace in the Register of Judicial Recusals - with a start date of January 2018. This follows an earlier development after Lord Carloway gave his evidence to the Committee, where the Judicial Office agreed to publish a wider range of details regarding judicial recusals, A copy of the revised recusal form for members of the Judiciary has been provided by the Judicial Office and is submitted for members interest. 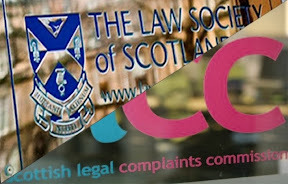 Additional enquiries with the Judicial Office and further media interest on the issue of Tribunals which come under the Scottish Courts & Tribunals Service (SCTS) and Judicial Office jurisdiction has produced a further result in the Judicial Office agreeing to publish a register of Tribunal recusals. 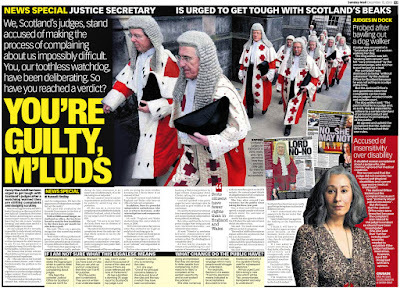 I urge members to seek clarification from the Judicial Office and Lord President on why Justices of the Peace, who now comprise around 500 members of the judiciary in Scotland, were excluded from the recusals register until now - as their omission from the recusals register has left a distorted picture of judicial recusals in Scotland. 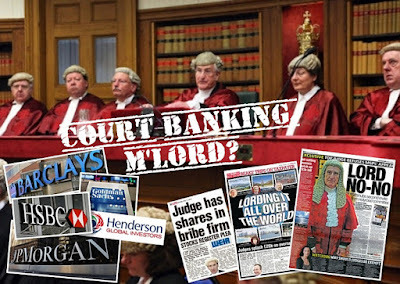 While the register exists for a handful of judges who sit on the SCTS Board - including Lord Carloway, and does include further detail on some financial holdings of the judiciary, as provided by the Judicial Office SCTS Board shareholdings register - there is clearly a format by which this same register, with enhanced requirements of disclosure as appear in other jurisdictions, could be applied to all members of Scotland’s judiciary. Finally, I wish to draw attention to members of the status of the Norwegian Register of Judicial Interests, which is a very comprehensive register, and could well be used as a template for a similar register of judicial interests in Scotland. The Norwegian register of judicial interests is available here: Norway - Register of Judicial Interests. I urge members to contact Norway’s judiciary to seek comments on their register of judicial interests, and if necessary invite evidence on Norway’s implementation of such a register and how it impacts on judicial transparency. Court details reveal judge scheduled to hear case against her own husband. SCOTLAND’S judiciary are facing fresh allegations of conflict of interest after it emerged a multi million pound damages claim against the Lord Advocate and Scotland’s Chief Constable for wrongful arrest and financial damages – was set to be heard by a judge who is the wife of the Lord Advocate. 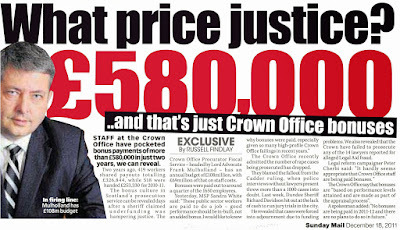 The NINE million pound damages claim against Scotland’s top cop and top prosecutor has been lodged by David Whitehouse – a former administrator at Rangers FC – who is seeking financial damages from Police Scotland's Philip Gormley and Lord Advocate James Wolffe QC. 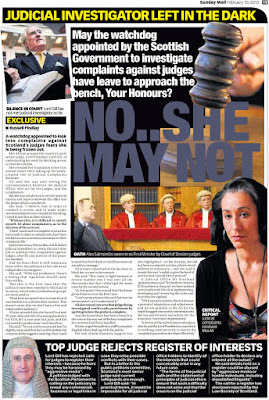 A copy of the Court Rolls handed to the media at the time reveal Lady Sarah Wolffe QC – an outer house senator of the Court of Session – was scheduled to hear the case involving the claim involving the Lord Advocate - her own husband - A295/16 David Whitehouse (represented by Urquharts) v Liam Murphy &c (represented by Ledingham Chambers for SGLD - Scottish Government Legal Directorate) - on November 15 2017. Liam Murphy is currently listed as a Crown Office Procurator Fiscal on “Specialist Casework”. 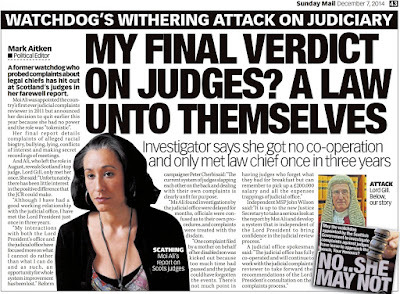 However, Lady Wolffe appears to have been removed from the hearing, with no official comment from the Judicial Office or Scottish Courts and Tribunals Service (SCTS). 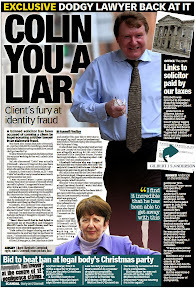 Claims have since been made Lady Wolffe was suddenly dropped from the hearing when it ‘emerged at the last minute’ her husband – Lord Advocate James Wolffe - was involved in the case. A report from a source claims a second Court of Session Judge - Lady Wise QC - was then scheduled to hear the case. 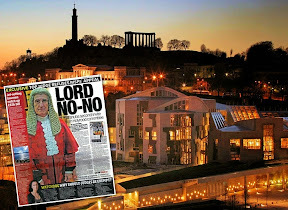 However, the silent replacement of Lady Wolffe with Lady Wise - has now raised serious questions as to why there are no references to any note of recusal made by Lady Wolffe – who clearly had a conflict of interest in the case given one of the core participants in the action is her own husband – the Lord Advocate. 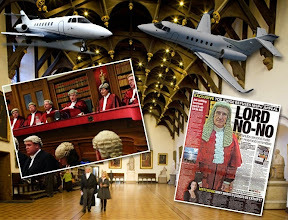 The case then takes another turn after media reports of the hearing on Wednesday 15 November reveal a third judge – Lord Arthurson QC – eventually heard the case, and has since arranged for a four day hearing for legal arguments. 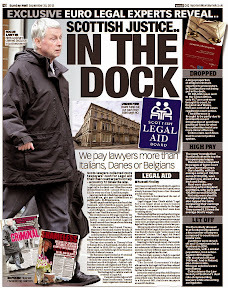 The background to the civil damages claim stems from when David Whitehouse and Paul Clark were appointed to the former Rangers Football Club PLC in 2012 after owner Craig Whyte declared the business insolvent. 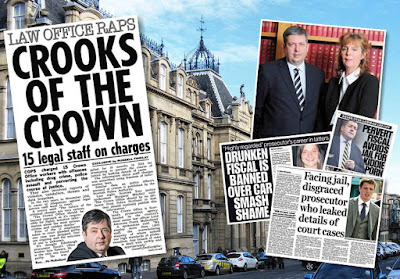 The Duff and Phelps administrators faced a failed prosecution bid by the Crown Office in relation to the collapse of the Ibrox oldco, while Mr Whyte was found not guilty of fraudulently acquiring the club during a trial in June. The charges against David Whitehouse and his colleague Paul Clark were later dropped. 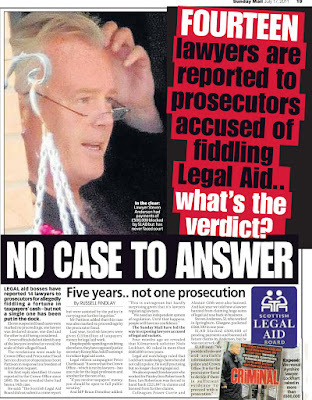 Both PoliceScotland Chief Constable Phil Gormley and Lord Advocate James Wolffe claim police and prosecutors acted in accordance with correct legal procedure. Yet questions remain on how the Crown Office acted in this case, and many others where prosecutions which ultimately collapse, appear to be based on flimsy or even non-existent or unprovable evidence. Police arrested and charged Mr Whitehouse and Mr Clark during the investigation into businessman Craig Whyte's takeover of the club in 2011. Charges were dropped following a court hearing before judge Lord Bannatyne in June 2016. Lawyers acting for Mr Whitehouse claimed their client was "unlawfully detained" by detectives in November 2014. They also said that throughout the period of detention, there was no reasonable grounds to suspect that Mr Whitehouse had broken the law. 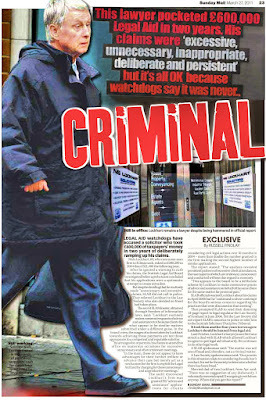 Mr Whitehouse also claimed that police obtained evidence without following proper legal procedure. An indictment against Mr Whitehouse was issued without any "evidential basis", his lawyers said. 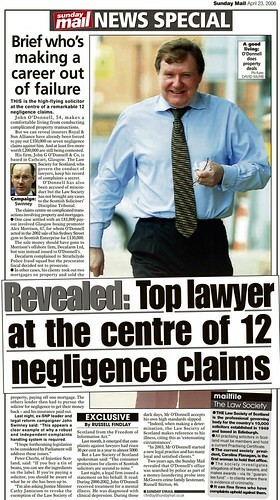 It is also claimed the actions of police and prosecutors are said to have damaged Mr Whitehouse' reputation of being a first-class financial professional and led to a £1.75m loss in earnings. 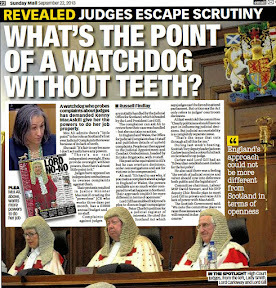 At the hearing on Wednesday 15 November – originally scheduled to be heard by Lady Wolffe - lawyers acting for Mr Whitehouse appeared during a short procedural hearing where it also emerged Mr Whitehouse's colleague Mr Clark is also suing the chief constable and Lord Advocate. At the hearing, Court of Session outer house Judge Lord Arthurson arranged for a four-day hearing into the legal issues surrounding the case to take place at a later date. Given the similarities of the two claims, lawyers are now examining whether the two actions should be rolled into a single case. 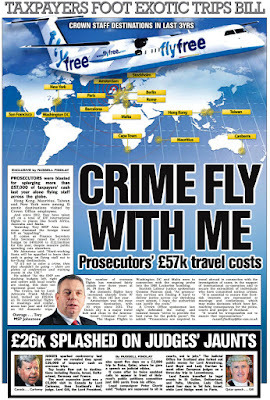 The case has emerged from the circumstances surrounding Mr Whyte's takeover of Rangers in 2011. Mr Whitehouse and Mr Clark worked for Duff & Phelps and were appointed as administrators of the club in February 2012. Four months later, the company's business and assets were sold to a consortium led by Charles Green for £5.5m. Mr Whitehouse believes that his human rights were breached as a consequence of the actions of the police and prosecutors. Lawyers acting for the top cop & Lord Advocate claim that Mr Whitehouse's human rights were not breached and that he did not suffer any loss or injury as a consequence of the actions taken by the police and prosecutors. Lawyers acting for the Chief Constable & Lord Advocate also claim should be dismissed because the Lord Advocate is exempt from civil action from people who were the subject of a legal investigation. However, the use of the Lord Advocate’s immunity from civil action - in times where the Crown Office have often been found to have got things wrong in court, or have acted improperly during investigations and the application of criminal charges, should now come under increased external scrutiny and ultimately be withdrawn from legislation. 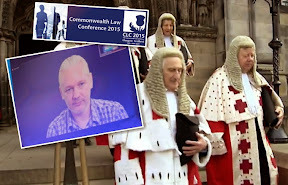 The Judicial Office, and the Scottish Courts and Tribunals Service have both refused to issue any further comment or statement on this case, despite the Judicial Office informing journalists a statement would be issued, over two weeks ago. However, questions remain as to why no recusal has been posted by the Judicial Office with regards to Lady Wolffe stepping aside from the case. Clearly, had a register of judicial interests existed in a form currently being studied by MSPs of the Scottish Parliament’s Public Petitions Committee, incidences such as these could be avoided. The Hon Lady Wolffe was appointed a Judge of the Supreme Courts in March 2014. 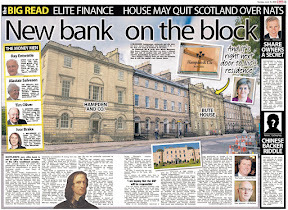 Lady Wolffe qualified as a solicitor in 1992 and worked at the Bank of Scotland legal department from 1992 to 1993. She called to the bar in 1994 and until 2008 practised as a junior counsel, mainly in commercial and public law. From 1996 until 2008 she was also standing junior counsel to the Department of Trade and Industry and its successor departments. Since 2007 she has been an ad hoc advocate depute. She was appointed QC in 2008. As senior counsel she has practised mainly in commercial and public law. She was a member of the Disciplinary Tribunal of the Faculty of Advocates 2005-2008 and has been a member of the Police Appeals Tribunal since 2013. Mrs Wolffe emigrated to the United Kingdom in 1987. The Crown Office Specialist Casework Function – currently led by Deputy Crown Agent: Lindsey Miller - comprises a number of specialist units involved in the delivery of case preparation and the provision of other legal services in support of COPFS core functions where the nature, size and/or complexity of the case or subject matter means that it is most effectively dealt with within Specialist Casework. This Function is managed nationally by Liam Murphy, Procurator Fiscal Specialist Casework, but delivered from various locations throughout Scotland. 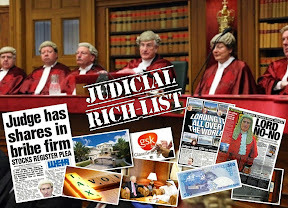 Scottish Parliament probe judicial interests & register proposal. 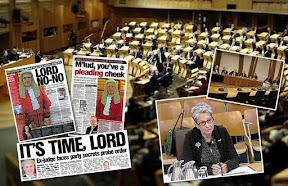 A FIVE YEAR Scottish Parliament probe into Petition PE1458: Register of Interests for members of Scotland's judiciary has generated over sixty two submissions of evidence, twenty one Committee hearings, a private meeting and fifteen speeches by MSPs during a full Holyrood debate. The petition has also secured the support of Scotland’s Judicial Complaints Reviewers Moi Ali, and Gillian Thompson. 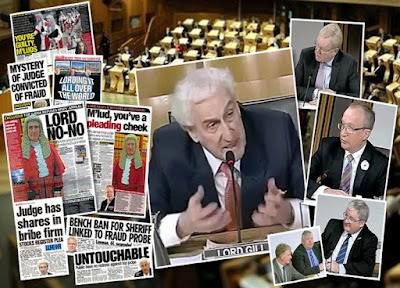 Moi Ali – who served as Scotland’s first Judicial Complaints Reviewer (JCR) - appeared before the Public Petitions Committee of the Scottish Parliament in a hard hitting evidence session during September of 2013. At the hearing, Ms Ali supported the proposals calling for the creation of a register of judicial interests.– reported here: Judicial Complaints Reviewer tells MSPs judges should register their interests like others in public life. 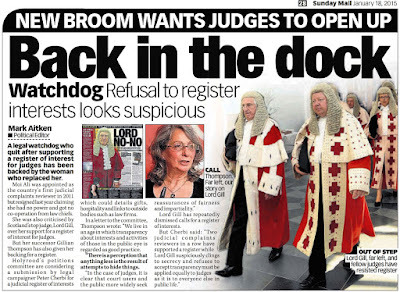 Scotland’s second Judicial Complaints Reviewer Gillian Thompson OBE also backed the petition and the creation of a register of judicial interests during an evidence session at Holyrood in June 2015. 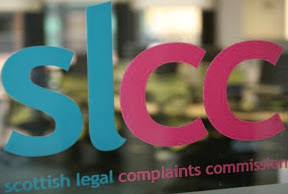 The Committee decided to call for submissions on the petition from the Lord President, the Law Society of Scotland, Faculty of Advocates and Crown Office. Petition PE1458 by Peter Cherbi calling on the Scottish Parliament to legislate to create a Register of Interests for Scotland's judiciary was heard today 5 March 2013. The Committee decided to call for further evidence and also to invite the Lord President Lord Gill and others along to speak to MSPs and be questioned on the matter. 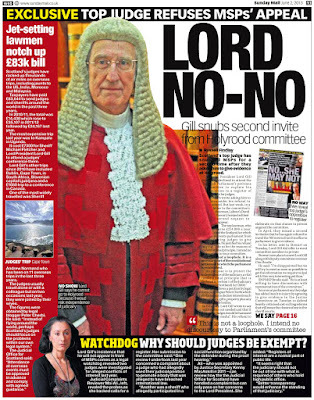 A petition calling for a register of interests for Scotland's judiciary has again been debated at the Scottish Parliament, where upon the Lord President Lord Gill's refusal to attend the Petitions Committee to give evidence, the Petitions Committee decided to repeat its invitation to Lord Gill to attend, and also agreed to seek the views of the Judicial Appointments Board and the Judicial Complaints Reviewer. Members of the PPC decided to invite Moi Ali, the Judicial Complaints Reviewer to give evidence and also to contact Dr Kennedy Graham MP of the New Zealand Parliament. Dr Graham currently has a bill before MPs in New Zealand calling for a Register of Pecuniary Interests of Judges. 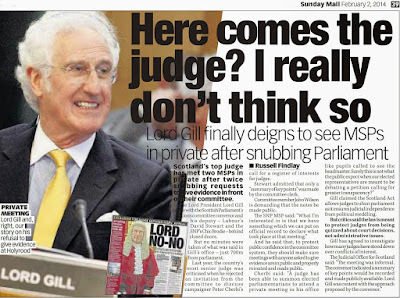 During the debate it was noted Lord Gill has refused to attend the Scottish Parliament to discuss the petition and judge's interests, but has attended the Justice Committee to discuss court closures in Scotland. Moi Ali, Scotland's Judicial Complaints Reviewer gives evidence to MSPs at the Scottish Parliament regarding Public Petition PE1458 calling for a Register of Interests for Scotland's Judiciary. 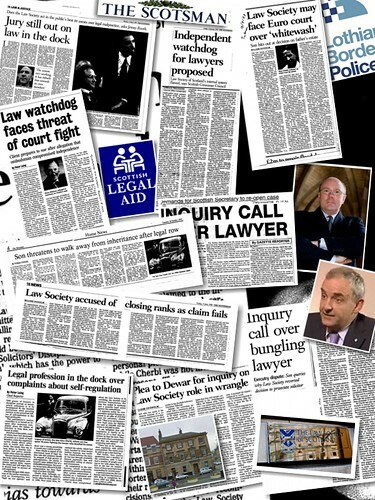 Following a private meeting between Scotland's top judge, the Lord President Lord Brian Gill, and the Convener & Deputy Convener of the Public Petitions Committee of the Scottish Parliament,the Committee agreed today, 28 January 2014 to defer consideration of Petition PE1458 by Peter Cherbi calling on the Scottish Parliament to create a register of judicial interests, pending receipt of a letter from the Lord President. The Convener, David Stewart MSP and Deputy Convener, Chic Brodie MSP reported back to members on what had been said at the private meeting with Scotland's top judge who refused to attend the Scottish Parliament to be questioned on his deep seated opposition to the proposal to requie Scottish judges to declare all their interests, hidden wealth, family & business links and other matters which may impact on cases being heard before judges in Scottish courts. Committee Member John Wilson MSP requested details of the private meeting with the judge be put on the official record of the Committee, and Jackson Carlaw MSP drew attention to the fact had it not been for the Petitions Committee asking tough questions there would not even be any letters forthcoming from Lord Gill. The petition will be heard once a letter has been received from Scotland's top judge, who appears to be set against any attendance to face questions on why judges should not be required to register their interests, unlike all other public officials, politicians, Government Ministers and others. The Committee agreed to seek time in the chamber for a debate on the petition. The Committee also agreed to write to the Lord President and the Scottish Government. The Committee agreed to continue the petition, and is seeking a debate in the main chamber of the Scottish Parliament. The Committee also agreed to write to the Lord President and the Scottish Government for more detailed responses. David Stewart: The committee’s motivation in giving consideration to the issue and in seeking time in the chamber to debate it is a point of principle and comes from the starting point of there being an assumption of openness and transparency in all areas of public life in order to shine a light, if you like, into every corner of Scottish society. Roseanna Cunningham: The setting up of a register of judicial interests would be a matter for the Lord President, as head of the judiciary in Scotland. The Lord President takes the view that a register of pecuniary interests for the judiciary is not needed. 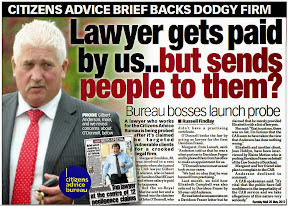 Furthermore, a judge has a greater duty of disclosure than a register of financial interests could address. Graeme Pearson: Until the petition was discussed, there was no knowledge of recusals in the public domain. I welcome the fact that, as of April this year, the Lord President has introduced a register of recusals. It is fair to say that without the petition and the work of the Public Petitions Committee, such a register would probably not have been considered. Angus MacDonald: If we as elected members have to register and declare our interests, I see no reason why members of Scotland’s judiciary should not be subject to a full and publicly available register of judicial interests. Anne McTaggart: In Scotland, claims continue to emerge of trials that have been unfair as a result of religious, ethnic or national bias. As long as those claims continue to exist, it is the Parliament’s job to promote fair government. In conclusion, I declare my support for the petition and encourage support from all the other MSPs. David Torrance: Although I understand that conflicts of interest are on occasion declared in open court prior to taking on a case, the introduction of a register of interests would provide a more consistent and sound basis on which to move forward. Neil Findlay: We need to do much more to make our society less secretive and less closed, and I think that the register that we are discussing is just one step towards that end. I, for one, give it my full support and urge other MSPs to do the same. Joan McAlpine: I gently suggest to the Lord President, in whose gift it is to set up a register, as we cannot legislate for it in the Parliament, that he should be mindful of the need for the judiciary to move with the times, along with every other public institution, in order to retain the confidence of the public. John Wilson: A register of interests for judges is an area in which we could move forward and build more confidence in the system that we have in place. Stewart Stevenson: I encourage Lord Gill and his successors to think about recalibrating their relationship with Parliament. Jackson Carlaw: Mind you, I would point out that we, too, swear an oath, but we nonetheless still subscribe to a register. Elaine Murray: “Given the position of power held by the judiciary, it is essential not only that they have absolute integrity–but crucially, that they are seen to have absolute integrity.” Therefore, the issue is not that anyone doubts the judiciary’s integrity, but that the public need to see that integrity. Roseanna Cunningham: A number of members referred to the register of interests of MSPs. However, the situation is different, because we are directly accountable to the electorate. Chic Brodie: There is concern that a register would have unintended consequences—a phrase that has been used often in the debate—for the judiciary’s freedom and privacy and its freedom from harassment from the media or dissatisfied litigants. Those are concerns, but they are no less so for others in public life, including MPs and MSPs, who may be attacked publicly for non-declaration of interests. Although it is argued that the establishment of a register may have the unintended consequence of eroding public confidence in the judiciary, it might equally be argued that its absence might have the same effect. Minister for Community Safety Paul Wheelhouse gives evidence to the Public Petitions Committee on their investigation of proposals to create a register of judicial interests as called for in Petition PE1458. Mr Wheelhouse on behalf of the Scottish Government opposes the creation of a register which will inform the public about what judges have, their interests, links to big business, banks, shares in corporations and tax avoidance scams. The Scottish Parliament's Public Petitions Committee discussed Petition PE1458 on Tuesday 12 May 2015. The Committee agreed to call Gillian Thompson OBE - Scotland's current Judicial Complaints Reviewer to give evidence on the creation of a register of judicial interests. The Scottish Parliament's Public Petitions Committee discussed Petition PE1458 on Tuesday 23 June 2015. The Committee took evidence from Gillian Thompson OBE - Scotland's current Judicial Complaints Reviewer who gave evidence in support of the creation of a register of judicial interests. Lord Brian Gill, former Lord President and Lord Justice General of Scotland gives evidence to the Scottish Parliament's Public Petitions Committee on Petition PE1458 calling for a register of interests for judges.Gill refused two earlier invitations to appear before the Public Petitions Committee in 2013 and was dubbed "Lord No No.". 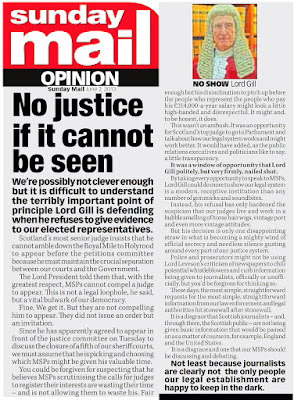 Several times during the debate the 73 year old 'retired' Lord Gill called on the panel of MSPs to show faith in the UK judiciary and scrap the petition along with calls for greater transparency of judges interests. Petitions Committee member Kenny MacAskill MSP calls for the committee to invite the new Lord President upon their appointment to appear to give evidence. Convener Michael McMahon MSP agrees to write to the new Lord President. The Committee decided Lord Carloway is to be called to give evidence, MSPs will also contact Professor Alan Paterson of the University of Strathclyde for evidence. The Petitions Committee decided to call Lord President Lord Carloway to give evidence, and also hear from Professor Alan Paterson of the University of Strathclyde. MSP Angus MacDonald (SNP) moves to call Professor Alan Paterson to give evidence to the committee and for msps to consider evidence from the Professor then to contact the Lord President, Lord Carloway. Professor Alan Paterson evidence to Public Petitions Committee on creating a register of interests for members of Scotland's judiciary. Members of the Scottish Parliament's Public Petitions Committee decide to invite Lord President Lord Carloway to provide evidence before the Committee at a future date, and to invite Alex Neil MSP to appear before the Committee at the same meeting. The decision was taken after Lord Carloway offered concessions on the recusal register of Scotland's judiciary - created as a result of this petition. Lord Carloway gives evidence to the Public Petitions Committee on a proposal to create a register of judicial interests for members of Scotland's judiciary. The proposal has been investigated by the Scottish Parliament for five years, there is wide support for the register, from cross party msps to the media to both Judicial Complaints Reviewers. The Petition will next be heard on Thursday 7 December 2017 where the Public Petitions Committee will be asked to consider taking evidence from Baroness Hale, President of the UK Supreme Court, and to seek further evidence on the operation of Norway’s Register of Judicial Interests.